Despite the illegality under federal law, one manufacturer is availing itself of the remedy of federal court, where it has filed a complaint to protect both its brand and its sales from alleged counterfeit bong makers. Lawyers in California, Florida and New York have filed federal complaints alleging that mom-and-pop convenience store are infringing upon the trademark of a German company named Roor and its American licensee. As our marijuana lawyers understand, the glass pipes are being sold under the Roor name, even going so far as to use the Roor mark, which has a very specific stylized font and lettering. It’s estimated more than 200 trademark violation lawsuits have been filed in the last four years, though most of them were filed in 2016. As the owner of the company’s U.S. partner told the Associated Press, the issue of counterfeiting has become a serious problem that now requires legal action. This is particularly true as the marijuana market has rapidly expanded in recent years as a growing number of states have passed laws legalizing medical marijuana and recreational marijuana. That has propelled consumer demand for drug paraphernalia. Still, the market is still sort of in a gray legal area. 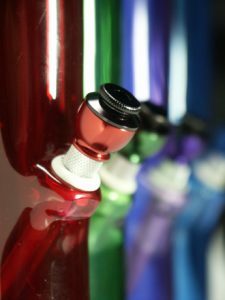 Those who specialize in trademark law specifically as it relates to marijuana opine that probably the strongest defense in these cases is going to be the fact that Roor markets its products specifically as a “bong,” widely known to be used almost exclusively for cannabis. But under federal law, if a product is in violation of federal law, it can’t legally be trademarked. That could mean Roor may have to show it never pursued a market for marijuana. This could be difficult considering the company has on many occasions won awards such as the Cannabis Cup from High Times. A large percentage of these marijuana lawsuits have settled, rather than go all the way to trial, and the reason for that likely has to do with the fact that really neither side wants to go through the discovery process and have all their business laid bare on public record. However, lawyers representing Roor say the company is not afraid to take a case to trial if need be. Federal trademark provisions allow up to $150,000 in damages per violation. The settlements have largely resulted in payments in the ballpark of $12,000 to $16,000, with the promise not to continue selling the counterfeit versions.